This year, Pearson ELT has launched the inaugural teacher award, recognizing innovative ELT teaching around the world. Six lucky winners will receive an all-expenses-paid trip to the IATEFL or TESOL conferences in the U.K. or U.S.
You can submit your entry or nominate a colleague. The Award is open for entries until January 1, 2017 via the Pearson ELT website. The winners will be announced on January 25, 2017. If you are not fond of using very (because it's weak or vague) and wish to replace it with a more accurate or vivid word, this enormously helpful infographic shows 128 words that you can use instead. Join the webinar to discover how technology can become a significant part of the learning process for your students. 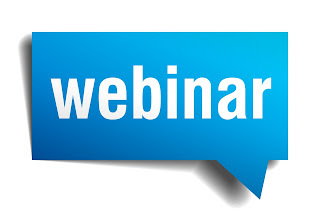 The webinar will be presented by Thomas Healy, Smart Choice author and an Assistant Professor in the Intensive English Program at the Pratt Institute, New York City. If you are an adult learner of English and would like to take a free online test just to get an approximate level of your knowledge of the language, here is a Cambridge one consisting of 25 questions. Click on the photo below and start your adventure. This year's amazing IATEFL ended on a cheerful note, and its 50th anniversary was a good enough reason. Have you heard of Jan Blake? Jan Blake is one of the leading storytellers and performers, specialising in stories from Africa, the Caribbean and Arabia. Her storytelling is known as dynamic, exciting and witty. The way she performs is extraordinary. She is the winner of many storytelling awards. I highly recommend watching the plenary of Jan Blake, in which she shares a selection of her favourite stories (the ones she read, heard, told to herself). Storytelling represents one of the most powerful learning methods, thus the session is well worth hearing. Although, unfortunately, I didn't attend the 50th (a golden jubilee!) 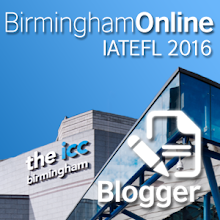 IATEFL conference, I have the honour to be one of its online registered bloggers. Today's post will briefly discuss the plenary by one of the greatest linguists - Professor David Crystal, who is the patron of IATEFL. I met the professor a couple of years ago at a conference and I find his work truly inspiring. You can watch David Crystal's presentation here. The focus of Crystal's talk is on principal changes in all areas of the English language, referring to the changes of vocabulary, grammar, pronunciation, etc. that have occurred in the last fifty years and those that are likely to happen in the next five decades. We see swift language change as a consequence of different factors, such as the Internet and globalization. He even expresses sympathy for language teachers, as English and its norms change at such a rapid rate that the language teachers once learnt to teach is no longer the same and acceptable. Of course, every living language is destined to be altered, but now we can talk about words and phrases that have a very short life - becoming old-fashioned quicker than it took them to get popular. I'm afraid that the future will only quicken the pace of (vocabulary) change and that teachers would need to learn how to best adapt for the sake of pupils. 2. The progressive aspect is on the increase, e.g. I'm lovin' it. 3. Change in the use of relative pronouns - that and which. That is used much more than which, and the use of which is greatly decreasing. As Crystal put it, it is the direct result of antagonism towards the use of which by the prescriptive grammar tradition. Where will such trends lead us to? How should we perceive grammar in the future? Should a trend become a rule? I would love to hear your answers. 2. Some accents changed their phonetic character significantly. If an accent attracts positive values, it can be trusted and will be widely used. The attitude towards accents will certainly remain unpredictable, as different influences will occur. Even the Queen's accent doesn't stand still. David Crystal argues that the future seems to be syllable-timed, but we will see whether it would (still) be dominant and to what extent. - The use of capitals in names (vodafone, eBay). So, the Internet plays a key role in bringing language change to the attention of the general public, as well as the broadcasting media and literature. There are numerous examples. Simplification seems to be the prevailing trend in every aspect of language, as it has been present in every inch of our lives. To mark the 400th anniversary of Shakespeare's death, ELTA (English Language Teachers' Association in Serbia) is organizing two competitions for English language teachers and students. You are invited to send your authentic lesson plans, quizzes, games and other Shakespeare-related classroom activities, which will be posted on ELTA's website and Facebook page. Each month from February to May 2016, two book prizes will be given to teachers who send the most inspiring ideas, and a special prize will be given to the teacher whose activity gets the most likes on Facebook. You are also invited to send your or your students' drawings, illustrations, paintings, photos or collages of Shakespeare's quotes which will be posted on ELTA's Facebook page, and in June 2016 the best illustration will be chosen and its author will be rewarded. You can send your contributions here. With the help of the US Embassy in Belgrade, Serbia, American Corner Belgrade is organizing a new round of TOEFL advisory classes that will begin on January 23 2016 and will last 5 classes. This course will be held by an English language teacher - Igor Zagrađanin. The course is a workshop rather than a typical course, for those in the final stage of preparation for the TOEFL test. The advantage will be given to those who have registered for the TOEFL exam. *If you find this kind of posts useful, please share it! And make sure to subscribe! The United Nations Academic Impact (UNAI) and ELS Educational Services Inc. (ELS) are organizing the Many Languages, One World essay contest for the third straight year. It is open to full-time university students (18 years or older). In order to participate, students must write an essay of 2,000 words or less regarding multilingualism in the context of global citizenship and of their personal, academic, and cultural background. The essay must be written in one of the six official UN languages (English, French, Russian, Arabic, Spanish, Chinese) that is not their mother tongue or primary language of instruction. A total of 60 winners will be selected to attend a week-long (25-31 July) Global Youth Forum in New York City and present their ideas at United Nations Headquarters. Essay submission deadline: 31 March 2016.